Johns Hopkins SAIS China Studies offers unparalleled training for future leaders and thinkers who will address China's evolving role in the world. Learning to work with China across the full range of human endeavor is one of the great challenges of the 21st century. The China Studies Program offers unparalleled resources for combining the graduate-level study of international relations and China. Known for its outstanding faculty, the China Studies Program and SAIS offer a dynamic multidisciplinary curriculum rooted in the study of international relations, economics, and regional studies. The China Studies Program is second to none in the number of graduate courses offered on contemporary China. The program’s hallmark is its academically superb faculty, with considerable expertise outside of academe, from work in government and multilateral organizations to NGOs and foundations. Courses cover topics from Chinese leadership and foreign policy to economic and political reform, human rights and law, environmental challenges, China’s military power, and the country’s growing involvement in Africa and beyond. 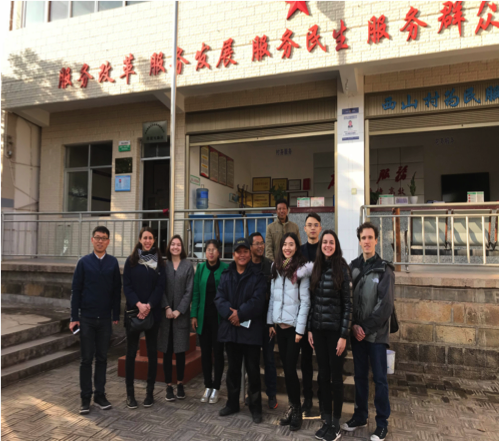 Interested students have the opportunity to spend their first year in China learning from top Chinese and international scholars through both the Hopkins-Nanjing Center and the SAIS-Tsinghua Dual Degree Program or as a semester exchange student at Tsinghua University. China Studies students are exposed to many visiting policy makers and academics, and will have opportunities to undertake internships in Greater China and/or in Washington, DC, and to participate in field trips to China or the societies with which it interacts. A core commitment of the China Studies Program is to offer a curriculum that puts contemporary China in regional and historical context and integrates comparative and theoretical perspectives with the judgment that experience and history provide. Aside from China itself, Washington, DC is ground zero for the study of contemporary China and China policy. 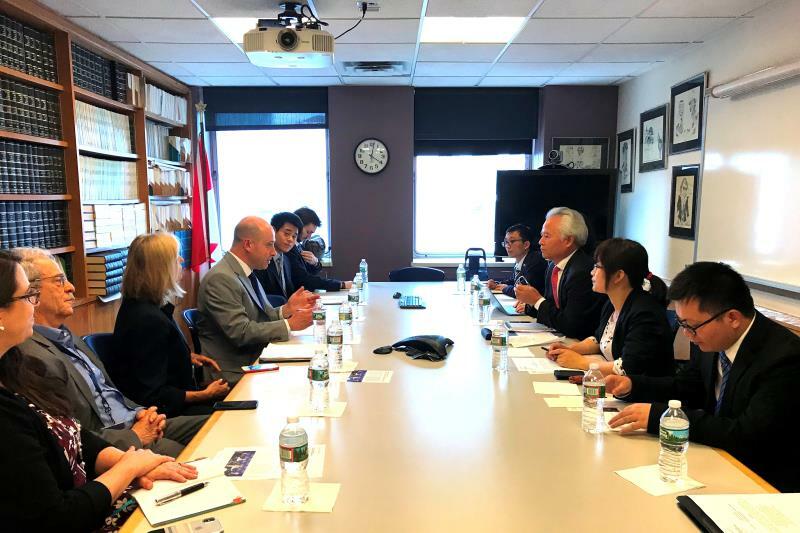 SAIS is located in the heart of Washington--amidst embassies, think tanks, NGOs, and government agencies, all with considerable China involvement and expertise. Given their unmatched opportunity to study China from both the inside and outside, China Studies graduates are employed in government, business, multilateral organizations, and NGOs around the world. For more than 30 years, the SAISChina Forum has brought leading experts on China to SAIS from academia, business, and the policy world, to speak to the Washington China community on important topics of the day. Throughout the academic year, the China Studies lunch series provides opportunities for students and faculty in the China Studies Program and others in the SAIS community to explore current China-related topics with experts in a small and informal setting. See the Events Calendar page for a listing of events this semester. Since 2015, SAIS China has published the China Studies Review, which features top student writing on China from the past year--see the latest CSR below. China Studies also offers an annual China-focused research seminar for which students complete research papers of publishable quality. Students may also have opportunities to serve as research assistants for SAIS faculty or as interns for scholars in area research institutions. Post-trip report: "Challenges to Transboundary Water Governance in the Mekong River Basin"
China Studies provides limited funding to support summer internships. In 2019, the SAIS China Summer Internship Program will make three internship awards of $2500 to $3,000. For more information, see here. 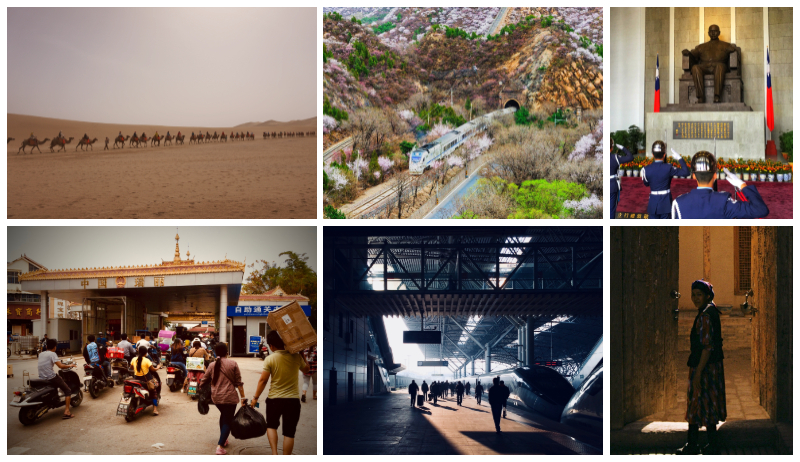 The China Studies Program hosts the annual Rome Endowment Photo Contest each year. This contest encourages the creative and perceptive use of photography to tell compelling stories based on our China Studies students’ travel experiences in Greater China. Contest winners are voted on by SAIS peers and top photographers win a cash prize and have the opportunity to speak about their work and experience. The contest grants three third place awards ($100), two second place awards ($200), and one first place award ($300). Past photographs appear below. 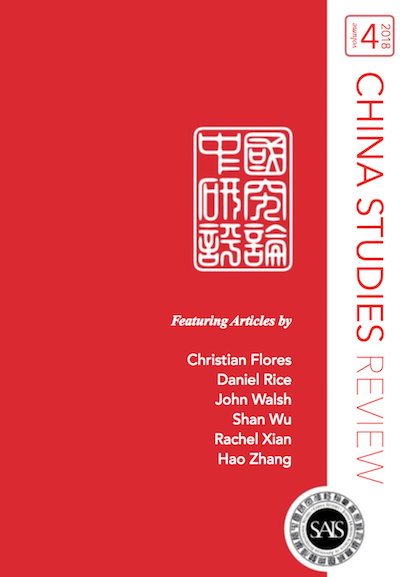 Since 2014, the SAIS China Studies Program has published the China Studies Review, an annual student journal featuring interdisciplinary work by graduate students conducting research on China, including political science, economics, public policy, and area studies. Look through the latest issue below, and find out much more at the CSR website saiscsr.org. Prior to the creation of the Review, China Studies also featured research conducted by MA students on China in the China Studies Working Paper Series. SAIS China Studies periodically hosts mini-courses taught by practitioners and outside experts that offer practical professional insights, highlight key skills sought by employers, and provide strong networking opportunities. For example, in Spring 2018, Practitioner-in-Residence Beth Keck (SAIS '85), a former Senior Director at Walmartand and expert on sustainability and women's empowerment in China, taught "Public Affairs in China: A Practical Approach." Ms. Keck has taught mini-courses for SAIS China in Washington, DC, Nanjing, and Beijing. 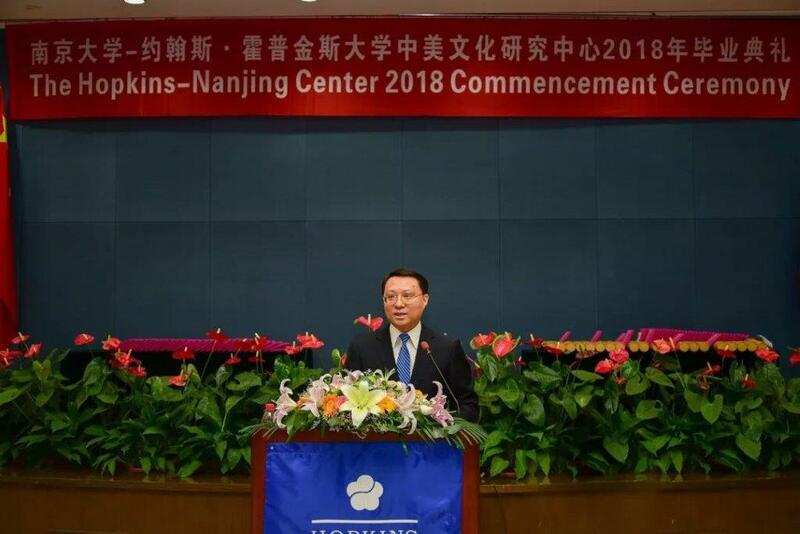 See here for a Hopkins Nanjing perspective. The SAIS Financial Aid Office provides general financial aid resources and advisory services for all SAIS students. Each year, SAIS China Studies offers top applicants funding through the Starr Excellence in China Studies Fellowship. The Christine and Erik Brown Fellowship for China Studies (open to new students): This fellowship provides two years of partial tuition support for an American citizen offered admission to the MA program with a concentration in China Studies. The recipient must declare his or her intention to pursue employment in US government service, education, journalism or the non-profit/non-government sector for five years after graduation. The Stephen and Christine Liu Fellowship (open to rising second-year students): This fellowship is awarded to students who have distinguished themselves in China Studies and have exhibited the potential to lead in the field of US-China relations. The James and Margaret Loe Fellowship (open to rising second-year students): Established in memory of James and Margaret Loe by their family, this fellowship supports students who have distinguished themselves in China Studies and contributed to better understanding between the people of the United States and China. Students who received the HNC Certificate in Chinese and American Studies will receive a reduction in the number of China Studies credits required, but must take at least one China Studies course at SAIS Washington. Academic Affairs will inform each student of the approved reductions. The Capstone exam is an oral exam conducted by the China Studies faculty. More information available here. China Studies concentrators are required to demonstrate proficiency in Chinese. Native speakers of Chinese must demonstrate proficiency in any other language taught at SAIS, which can include English. SAIS China encompasses the formal China-related programs at Johns Hopkins SAIS as well as the school's footprint in Greater China. There are abundant resources for students beginning their China study as well as those with significant experience and mastery of Chinese. Students can pursue their studies in Washington, DC, at The Hopkins-Nanjing Center, or in affiliated programs at top Chinese universities such as Tsinghua University, with program options that allow the student to do coursework in both China and the United States. All locations offer top research facilities and a vibrant community of China scholars and practitioners. The China Studies Program in Washington, DC is one of America’s premier graduate programs for the study of China. The two-year Master of Arts degree program provides a foundation in international economics, trade theory, language proficiency, and comparative politics as well as classes on topics ranging from US-China relations, China’s foreign policy, politics, economy, and development, to grass-roots society, energy and environment, and Taiwan and cross-Strait relations. Students tailor their studies to focus on the issues that matter most to them, and take advantage of a rich array of international resources and events convenient to the school’s location on Embassy Row. The program also offers a small and highly selective PhD program in China Studies. Master of Arts in International Studies (MAIS)—This two-year program, fully accredited in both China and the United States, culminates in a thesis and degree jointly awarded by Johns Hopkins SAIS and Nanjing University. HNC Certificate in Chinese and American Studies—The one-year HNC Certificate gives students flexibility in course selection while deepening their knowledge of Sino-global relations and mastery of Chinese. HNC Certificate/Johns Hopkins SAIS Master of Arts (MA)—Students spend one year in Nanjing, China and continue their studies for two to three semesters in Washington, DC or at SAIS Europe in Bologna, Italy (with at least one semester in Washington, DC). The SAIS-Tsinghua Dual Degree Program in Global Politics and Economics is a cohort-based program offered by Johns Hopkins SAIS and the International Relations Department at Tsinghua University. Students spend their first year at Tsinghua University in Beijing, followed by three semesters at Johns Hopkins SAIS in Washington, DC. With courses taught in English, this is an excellent way to gain a firsthand understanding of China and Sino-global relations, study in the capital cities of the US and China, and earn both a Master of Arts from Johns Hopkins SAIS and a Master of Law from Tsinghua University. Students concentrating in China Studies must take at least four courses within the program and an additional two courses in Asian Studies. Refer to the curriculum page for details. Click here for the full listing of China Studies courses for the 2018-2019 academic year. Analyzes the domestic politics of the People’s Republic of China, with particular emphasis on the reform era. This introductory course covers political history, policy process and institutional issues, leadership, and the challenge of socioeconomic modernization. Focuses on recurrent and substantive policy issues in Chinese politics. Analyzes the evolution of the People’s Republic of China’s foreign policy. Deals with China’s objectives, institutions, instruments of policy, changing alignments, and growing role in the international system. Directs considerable attention to specific policy issues and the policy process. Analyzes the economic, political, military and international dimensions of the relationship across the Taiwan Strait and assesses prospects for continued stability or a return to confrontation in the era of Xi Jinping and Tsai Ing-wen. The course examines cross-strait relations as an issue for the United States and Japan. Examines Taiwan’s economic and political development. Analyzes Taiwan’s politics, political culture and national identity and their impact on cross–Strait relations. Studies Taiwan’s unique international status and the diplomacy of a non-recognized government. This course examines U.S. policy toward China and specific U.S.-Chinese political, economic, cultural, and security relations, with emphasis on the post-1949 period. It gives special attention to the foreign policy process in each nation, recurrent policy issues and their implications for each nation’s behavior, and relations with third parties. The objective of this course is to enable students to develop through reading, discussion, and original research an understanding of China’s role within existing international organizations and innovations in aspects of global governance. This course is a research seminar that is structured so that students produce a substantial research paper based on original research. Students are asked to submit a brief description of their preparation for the course and their tentative research proposal to the instructor for review prior to enrollment. This course follows the spirit of Barrington Moore’s Social Origins of Dictatorship and Democracy to compare the development of civil society, contentious politics, and elite conflicts in mainland China, Taiwan, and Hong Kong/Macau since the end of WWII, with an emphasis on the social base, trajectories, and successes/failures of democratization attempts. The course will also cover the growing literature on the question of authoritarian resilience in mainland China, as well as its implications to the wider geopolitical dynamics of the Indo-Pacific. Along with China's emergence as a great power, Communist Party leaders in Beijing face a wide range of traditional and non-traditional security challenges. This course examines Chinese perspectives on, and responses to,contemporary national security issues such as North Korea's nuclear program, proliferation more generally, Taiwan and cross-Strait relations, energy security and sea lane protection, space and cyberspace security, and U.S. "rebalancing" to the Asia-Pacific region. This course focuses on the post-1980 deepening and diversification of China’s financial system, the establishing of regulatory institutions, and the integration with global finance. Topics covered include the spread of shadow banking, capital account opening, internationalization of the RMB, and cross-border lending for developmental and market integration purposes by China’s development banks and through multilateral institutions. By some measures, China now has the world’s largest economy. By any measure, China has contributed more to global economic growth over the past decade than any other country. Yet recent and ongoing developments have led to considerable pessimism regarding China’s ability to transition to a high income economy. How can we explain China’s rapid growth over the past four decades? Is this recent pessimism justified and, if so, what must China do to avoid getting stuck in a middle income trap? Focusing on these questions, this course aims to help students develop a deeper understanding of the Chinese economy. Johns Hopkins SAIS China Studies hosts a number of events throughout the semester including the China Forum, which features presentations and speeches by top officials and thinkers who manage and study China's evolving role in the world. Students also attend China Studies luncheons for discussions with invited China policymakers and scholars on their latest work, as well as many other events cohosted with other SAIS programs and at nearby institutions. All Asian Studies students, faculty, visiting scholars, and staff are invited to attend. "The Longevity of Chinese Absolutism" presented by Dr. Yasheng Huang, Martin Trust Center, MIT. Click here to download the full events list. Join the group by visiting the Johns Hopkins SAIS Alumni Group and click “Request to Join”. You will need to have a Facebook account to login and join. Join the group by visiting the Johns Hopkins SAIS China Alumni Group and click “Join Group." You will need to have a Linkedin account to login and join. 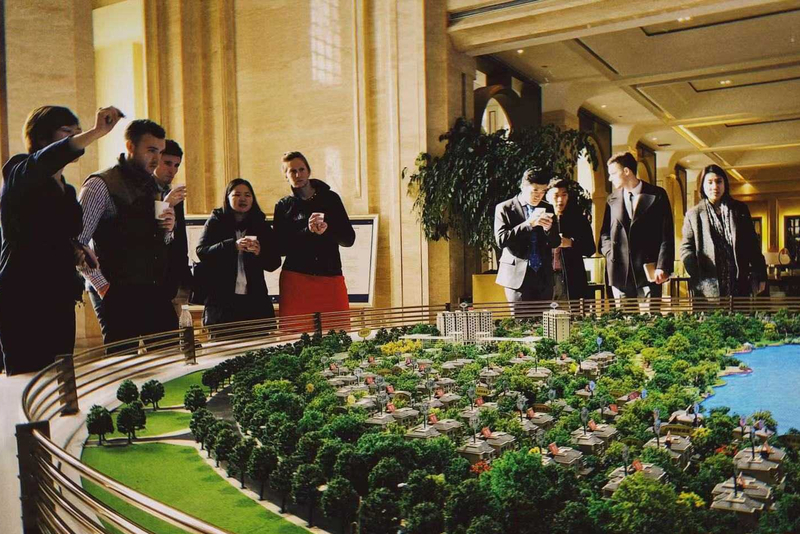 The group is focused on connecting China Alumni and friends in a professional context. Since 2014, the SAIS China Studies Program has published the China Studies Review, an annual student journal featuring interdisciplinary work by graduate students conducting research on China, including political science, economics, public policy, and area studies. Prior to the creation of the Review, China Studies also featured research conducted by MA students on China in the China Studies Working Page Series.